Looking for holiday homes or accommodation in the perfect location? Do you want to be close to the pool or in a quiet nook of the park? 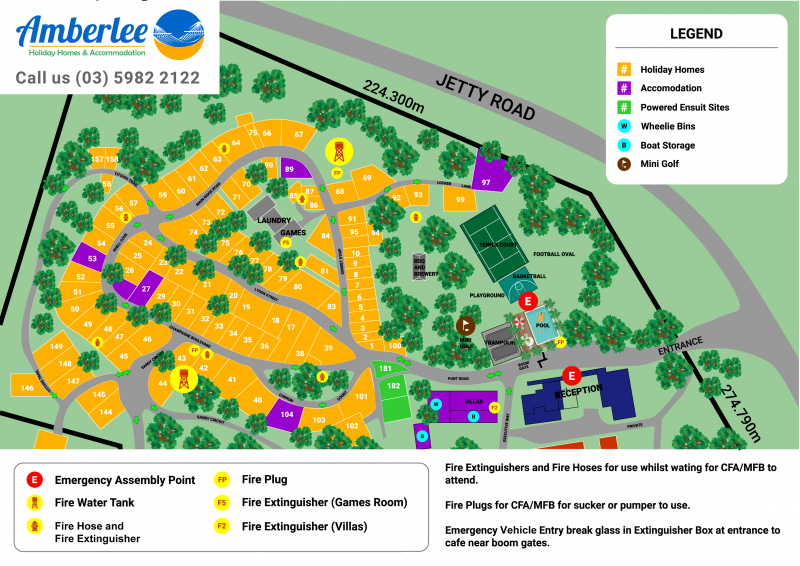 You will find the Amberlee Holiday Park map useful for planning your next visit. Remember to check out the fantastic variety of facilities Amberlee has to offer. There is a lovely large pool with a toddler’s lagoon and water features. This is a wonderful spot to relax and lounge around. Check out the trampolines, mini golf and children’s playground – the perfect spot for the kids to play and make friends. There is also a large open grass field for a variety of sports, along with a tennis court, cricket space and basketball area.